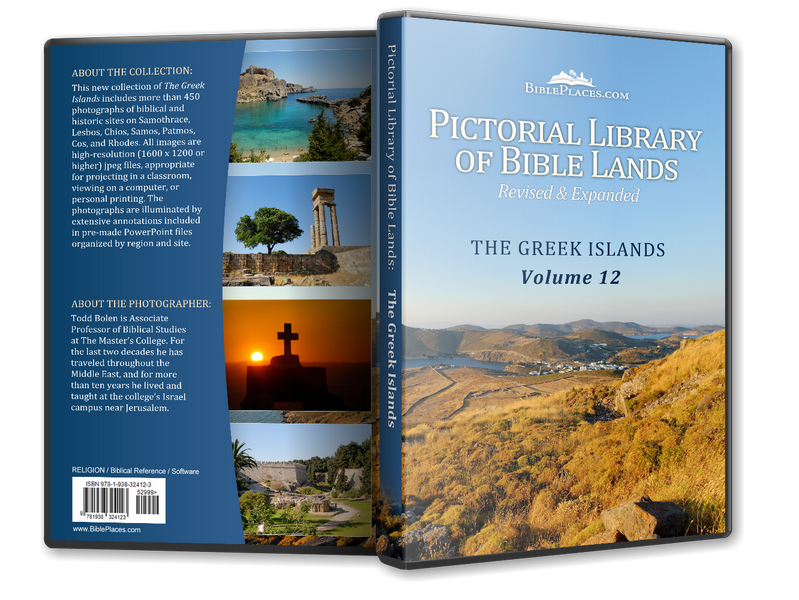 The island was ruled by a series of tyrants in the 6th century, the most famous of whom was Polycrates, who ruled 550-522 BC. 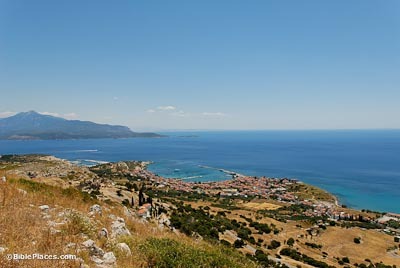 During this time Samos achieved unprecedented prosperity and power. Among his accomplishments, Polycrates established a powerful navy that dominated the Aegean, ordered the construction of the Eupalinus’ water tunnel, and fortified the city with walls that were 4 miles (6 km) long and 15 feet (5 m) thick. Herodotus records that Polycrates was lured to Asia Minor and killed by the Persians. Acts 20:14-15 (ESV) “And when he met us at Assos, we took him on board and went to Mitylene. 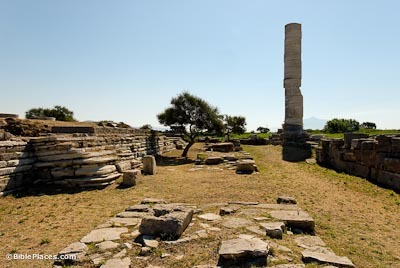 And sailing from there we came the following day opposite Chios; the next day we touched at Samos; and the day after that we went to Miletus.” The reference in Scripture to Samos is almost certainly a reference to the city today known as Pythagorio. 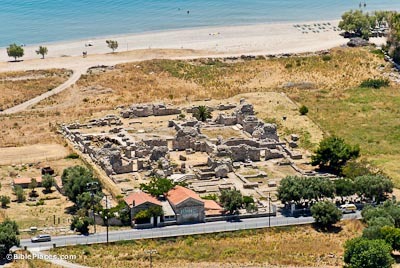 Evidence for a large Jewish population on Samos is indicated by the instruction of the Roman consul Lucius in the 2nd century BC. Lucius sent a letter to rulers in the Roman empire, including the ruler of Samos, instructing them to treat the Jews well because Jewish ambassadors had given him a large shield made of 1,000 minas of gold (1,250 pounds (567 kg)) as a gift (1 Macc 15:23). 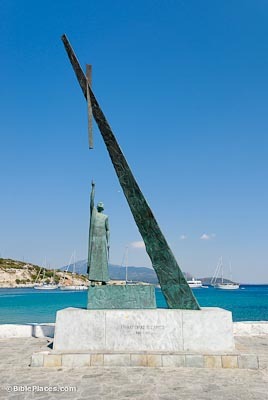 Samos was the birthplace of the philosopher Epicurus (341-270 BC). The mathematician Pythagoras (c. 582-507 BC) was born on Samos, and later moved as a young man to Italy and Egypt. He is best known for the “Pythagorean theorem.” The ancient city of Samos was known in modern times as Tigani until 1955 when the name was changed to Pythagorio in honor of the mathematician. 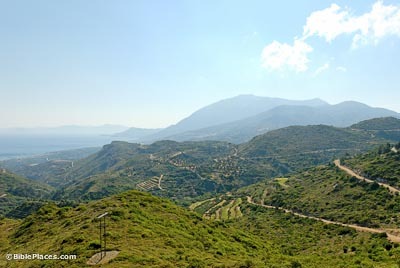 In the 6th century BC, the Eupalinos Tunnel was constructed underneath Mount Kastro to supply the city of Samos with water. It is one of the engineering marvels of the ancient world. Designed by Eupalinos, the tunnel was 3,410 feet (1,040 m) long, 7 feet (2 m) wide and 7 feet (2 m) high. 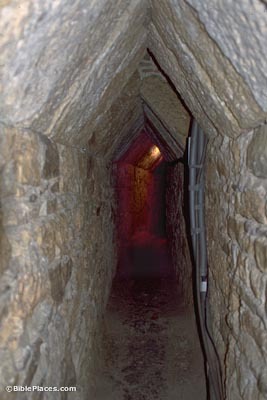 The Eupalinos Tunnel was built a century later, is twice as long, and is much wider than Hezekiah’s Tunnel in Jerusalem. Both tunnels were carved simultaneously from either end, and both met in the middle with virtually no difference in elevation. Built in the 6th century BC on the site of earlier temples, the Great Temple of Hera (or Heraion) was called by Herodotus the largest temple of its time. It was 300 feet (90 m) by 150 feet (45 m) in size and had 160 columns. Because of a poor foundation, however, the temple lasted only a few decades. The one standing column today is from the uncompleted rebuilding by Polycrates. A bronze horse frontlet inscribed with the name of Hazael, king of Damascus (2 Kings 8) was found in the temple during excavations. See also Cos, Patmos, Rhodes, and Samothrace.